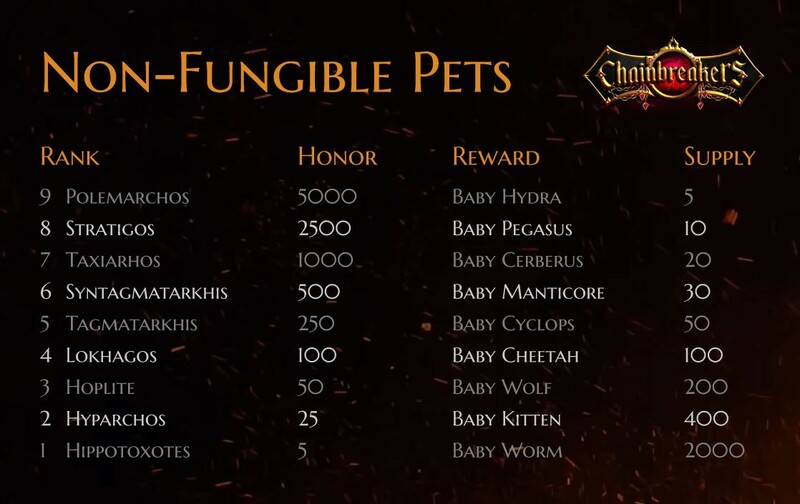 Baby pets are ultra limited NFTs that will be given out to early Chainbreakers community members that have acquired a rank until April 30th. There is no other way to obtain a baby pet. Join our Discord and learn more. The event was initially kicked-off in early December 2018. 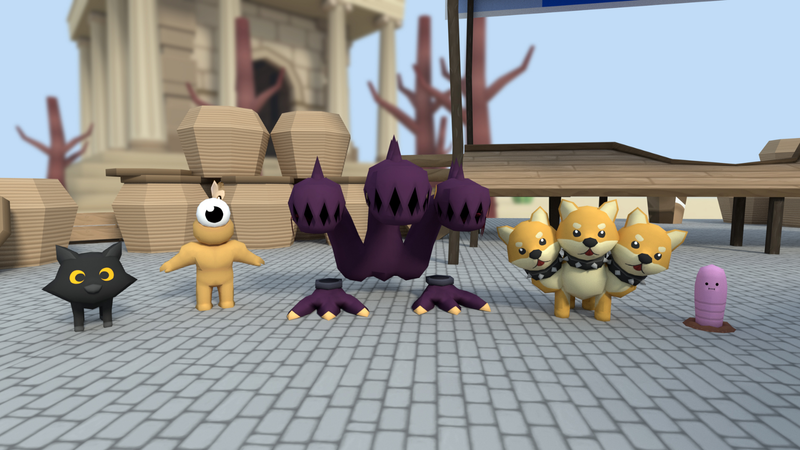 Meanwhile all pets have been modeled and can be inspected in the latest tech demo. How many pets have been unlocked so far? The supply of baby pet NFTs was limited right from the start. Last week one of our community members has acquired the first Baby Hydra pet. The valuation of these exclusive companions is unclear because they are not tradable yet. All NFTs will be minted and airdropped in May after the event has ended. The next crowdsale stage starts on April 5th. Honor granted for purchases in the Chainbreakers crowdsale will be lowered from there. More detailed information and additional changes can be found in the announcement. There is another event due to our extended partnership with OpenSea. All community members that manage to acquire rank 1 (uncommon) or rank 4 (additional rare) until April 15th will receive free item(s). All details in the article below. Qwellcode is a Germany-based virtual reality studio. The team has been building for Decentraland SDK since the beginning. Creators of the Decentraland launch title Chainbreakers.